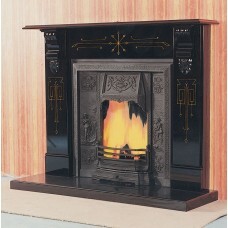 This is an exceptional all black slate fireplace surround with incised pattern in gold colour. Show.. 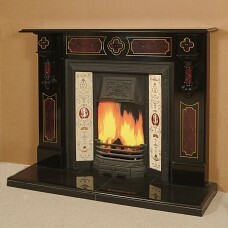 This is a precise reproduction of an original Victorian design. Manufactured from the finest quali.. 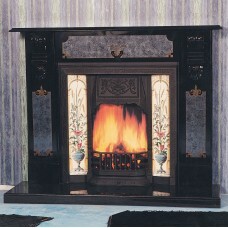 This highly coloured slate fireplace features marbled panels with gold engravings. 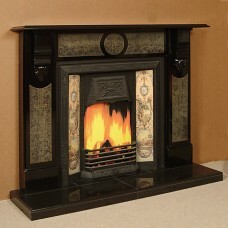 Displayed here wi.. 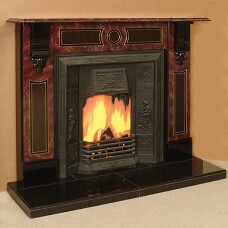 This marbled slate fireplace is based on an original Victorian design. The panels are marblised blu..